Please note: All sessions are subject to availability. Classes are held at our main tennis courts - 100 Campbell Street, Queanbeyan. We can provide rackets if required, but please bring your hat and drink bottle. Term fees include 9 classes over a 10 week school term. If more than one class is cancelled due to bad weather a make-up class will be offered towards the end of term. Payment is via Direct Debit and will be taken out at the time of enrolment and 2 weeks prior to each term starting in order for us to plan the next terms classes. 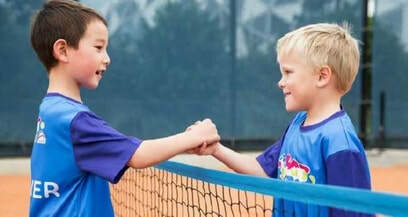 If you do not wish to continue the following term please advise us in writing at info@parksidetennis.com.au. We are a NSW ACTIVE KIDS Provider - Click here to find out how to use your voucher with us.